First Focus Campaign for Children released its 2017 Champions Scorecard. 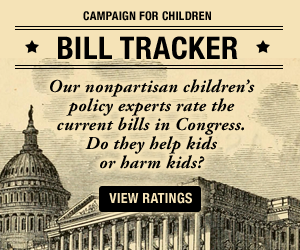 In an attempt to recognize the lawmakers in the First Session of the 115th Congress who are actively working and trying to improve the lives of our nation’s children through public policy change, to improve the lives of our nation’s children through the policy process, we are pleased to present awards to 120 legislators who have made children a priority. 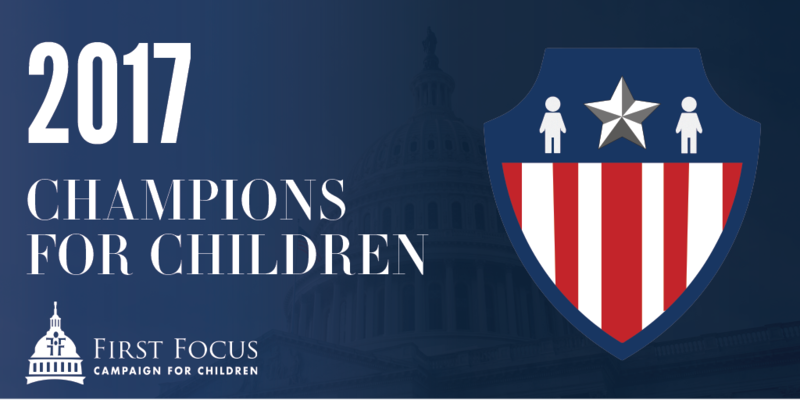 The 2017 Champions for Children Scorecard includes key votes on health-related bills and amendments to tax legislation, including two House votes on the Children’s Health Insurance Program, two Senate votes on child tax credit amendments, and four votes between the two chambers on the Affordable Care Act. Learn more and view the report at www.championsforchildren2017.com. Thank legislators who put the needs of children over politics, and share this scorecard resource by using our social media kit.